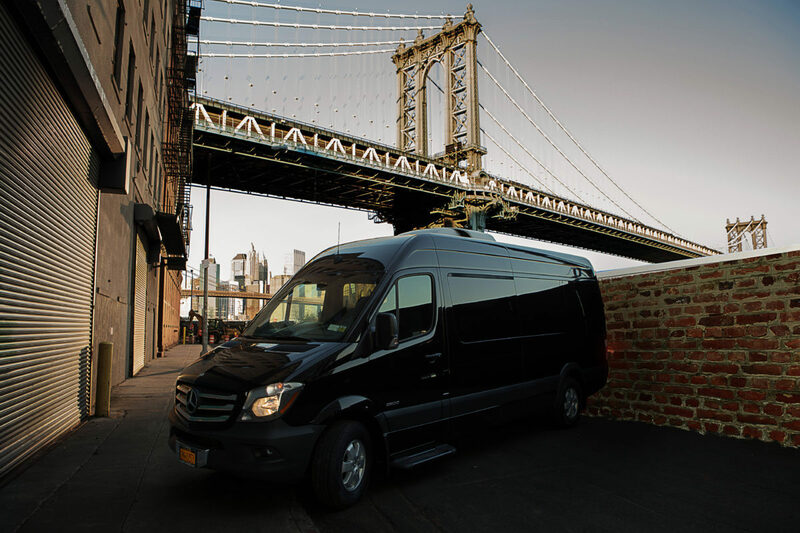 The Mercedes-Benz Sprinter work van has undergone a major revision for 2014, and the stalwart of the large work van market is bringing a few more goodies to the table. 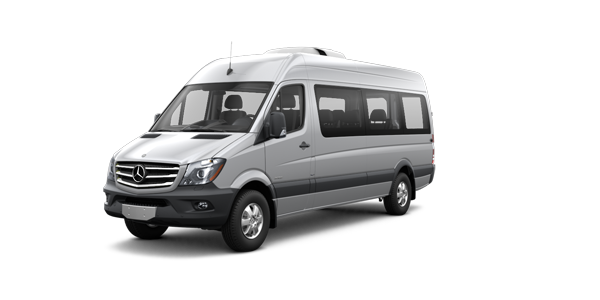 There will be another diesel contender in this segment shortly, from Mercedes-Benz’s former partners and one-time Sprinter re-sellers Ram (well, Dodge, well, Chrysler Group). 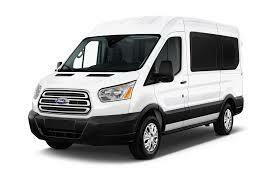 I drove the upcoming Ram ProMaster at an event a little while back, and now I got to try out the market leader. 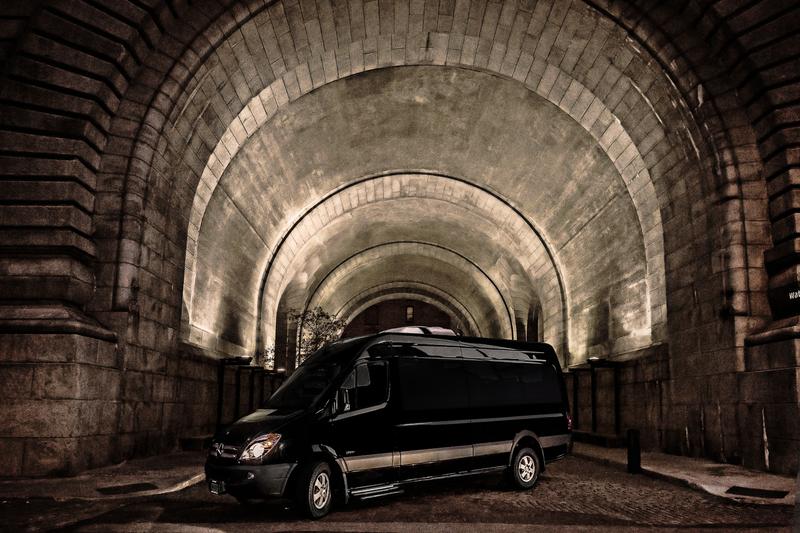 The Sprinter models are the 2500, 3500 and 3500 heavy duty models plus a cab-chassis edition. All of these come with a range of upfitter options allowing for an impressive set of potential setups. There is also a large suite of spare buttons in the dash for upfitters to use for those same fit-outs. Some real-world examples were on display at the launch, including one owned by a mobile dentist – because what could be less frightening than a dentist who pulls you into their windowless van? You can also add several rows of chairs to ferry canasta squads around, and you can opt for a sealed cargo section, a wall with a door in it between the cargo bay and cabin, an open plan, or a wall with a window cut in it. You can have a horizontal or vertical window – it all depends on how much you like to watch the dentist in the back. Those three body lengths are 5,921 mm, 6,955 mm and 7,631 mm. The two wheelbase options are 3,665 mm and 4,325 mm. Three roof heights are available: 1,651 mm, 1,941 mm, and 2,141 mm. Driving wise, this thing is immediately easy to get your head around. The mirrors are well set up and visibility is excellent. The steering wheel is well weighted and heavy. It isn’t over boosted, it feels direct and confident, it feels like a work truck. The brakes are strong and firm. I was impressed by the ProMaster’s miniscule turning circle, this truck isn’t the same. It’s turning circle is not as impressive, but I also said that the ProMaster’s boosted steering got busy out on the road. This doesn’t. The seats are utilitarian, and come in a variety of configurations, including two captain’s chairs, a bench-seat set up and more. They aren’t heated, but you can option heated seats for an extra $400. The HVAC controls are a little confusing which is an anomaly. The rest of the interior ergonomics are much better, with easy-to-read gauges and a comprehensive instrument cluster that won’t leave anyone wanting for information. The handbrake was too low to the floor for my little arms to reach also, but one of the other seat types might have fixed that. There are bottle holders in the two door pockets and two cupholders in the dashboard. More importantly there are paper clips, and dashboard plus overhead shelves for paperwork. The radio has a keypad for you to dial numbers on the fly without fishing around in your pocket – and by “on the fly” I mean, “before you take off from your last delivery point while sitting in park off the road somewhere.” It’s a go-go-go business, deliveries. Speed bumps don’t upset the cabin, but if you put only one wheel into a pot hole then you will move around a lot more. It’s gentle and progressive in the way it manages bumps though, so if you’re not too silly, you won’t lose your load. The 2014 edition gets a new, 161 hp/265 lb-ft, 2.1L four-cylinder turbodiesel as well as the current 188 hp/325 lb-ft, 3.0L V6 turbodiesel. I drove the four-cylinder and the six-cylinder back to back and found that the four was quite naturally down on power but not excessively so. It helps that the four is mated to a seven-speed auto, while the six-cylinder gets a more robust five-speed auto. 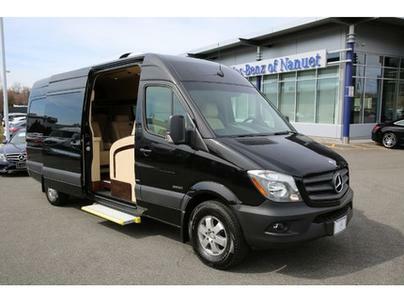 The Sprinter is rear-wheel drive, but don’t think you can do donuts in it. There is an advance stability control system which also manages wind gusts. That RWD system also keeps the centre of gravity higher than in the ProMaster. But this isn’t a sports car, this is a no-nonsense workhorse, designed to stay on the road and keep running costs low. Mercedes-Benz say the four-cylinder will get as little as 7.0 L/100 km. Not bad for a rig that will carry up to 1,578 kg – 24 kg more than its six-cylinder brother.